The A-style mandolin was a revolutionary instrument in its time with a radical new design that broke from traditional bowl-back instruments like Epi Stathopoulo’s father had made in Greece. 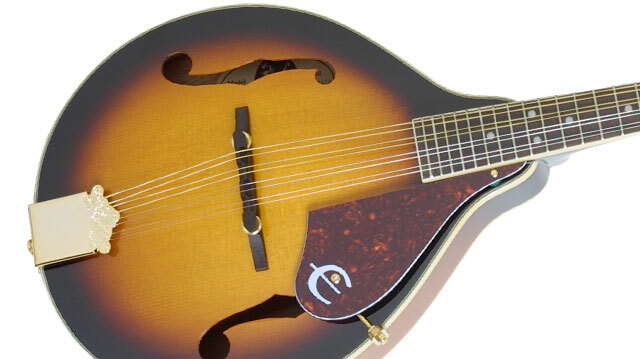 Epi never stopped believing in innovation when it came to making great acoustic instruments. Today, A-style mandolins are still appreciated for their balanced tone and their ability cut through as a rhythm or solo instrument. The MM-30SE deluxe-style mandolin is made in that same spirit, offering mandolinists a century of heritage with the added touch of gold hardware and Shadow's SH-900 piezo pickup. As with every Epiphone, The MM-30SE comes with the peace of mind you get from a Limited Lifetime Warranty backed by Gibson’s famous 24/7/365 Customer Service. The MM-30SE features a Solid Spruce top, a tonewood valued for its strength, durability, and balanced tone, along with a solid rosewood floating adjustable bridge, classic f-holes and a tortoise style pickguard with classic “E” logo. The hand-set mahogany neck features the same 14” scale length as our MM-50E “F-5” inspired professional mandolin, and the rosewood dot fingerboard makes chords and solos fast and easy. The thinly applied Antique Sunburst (AS) finish gives the instrument a classic hue while still allowing the Select Spruce top’s inherent tone qualities to shine through, making the MM-30SE an instrument that sounds as good as instruments costing much more. The beautiful tone of the MM-30SE is faithfully amplified by Shadow Germany’s SH900 piezo pickup, specially chosen for the MM30SE by Epiphone designers. The SH900 accurately captures the natural acoustic properties of the Spruce top and bracing. Vintage mandolins suffer from the wear and tear of a century of playing and the hardware often suffers the most. 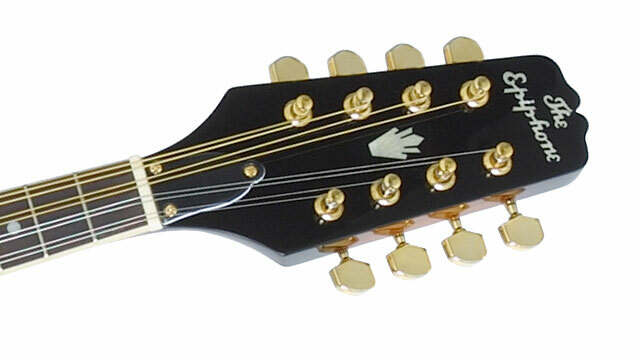 The MM-30SE really shines with gold tuners, designed at Epiphone in Nashville, TN.